Traveling. Vacations. Meltdowns. Best moments of your life. Make for the worst and best times, right? 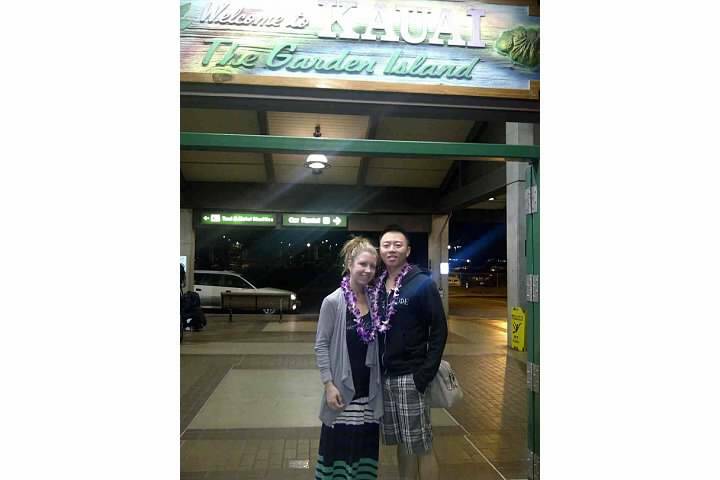 One our honeymoon, we missed our connecting flight and were forced to take another plane and arrived 6 hours after we were supposed to in Hawaii. But I hung out in LA with my new husband and a burger, arrived in Hawaii to fresh flower leis and ordered room service as our first meal on our honeymoon. It was pure bliss, pure beautifulness, pure relaxation. Being able to say Aloha and everyone running on Hawaii time was perfection. Plus, I got a killer tan without the burn. It was magic. And the moments spent basking in the sun with my new husband will be what stands out in 10 years, not the bad parts. Our very first trip to Baltimore we were working together as a team, making decisions, driving each other crazy. But we sat at the harbor talking about our future, our wedding plans and were together. We also realized we are not aquarium people. Our trip to Disney. Where we got engaged, um, I can't remember anything bad about this trip because hello! I was engaged! And it was all kinds of fantastic and all kinds of feelings. A week celebrating my new fiance, you couldn't get the smile off of my face. 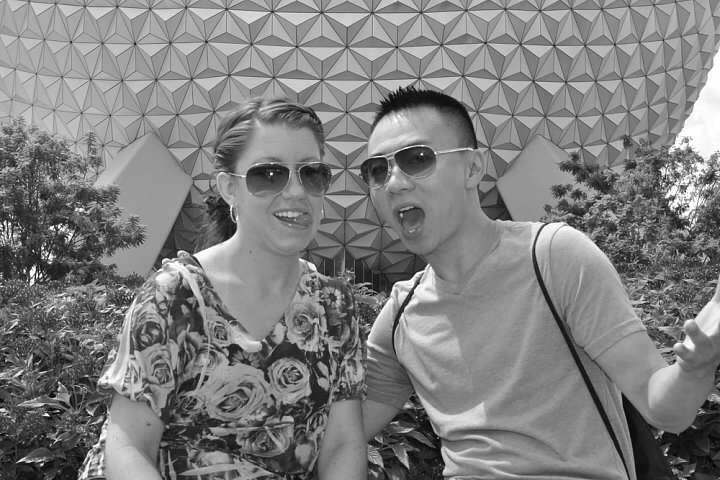 Then there is our most recent, 1st anniversary trip back to Disney World. We made it a whole year of marriage. And yes, I said we made it because it was our first year of marriage and it had its moments. We celebrated eating our cake at 6 am for breakfast. Celebrated with accepting a new lease on a condo we love. Celebrating with superheroes and back to the place it all started. Then, there was my opportunity to travel abroad to Spain for 2 weeks. Who let teenagers out of the country by themselves? Ok, with a teacher chaperon but still. It was exhilarating, scary, mesmerizing. I had serious jet lag and made for a cranky Krista the first day, we slept in a shady hotel and even got caught with alcohol on a school trip *gasp* Sadly, I have no pictures for you because I have yet to do the whole "scan my life before digital pictures" thing. But even though I remember those things, I remember the beautiful cathedrals more, the laughs we had as friends and just being on a trip in another country with some of my best friends. We were lucky enough as kids to travel a good amount. We went to Florida, Texas, South Carolina, Rhode Island, Massachusetts, the Bahamas, New York, NYC. And we camped, did weekend trips, beach trips and of course, Disney World. All of these had their moments, but looking back I can't remember a single bad thing that happened. Because in every single one, my mom was there. I'm sure there was a delayed plane, my parents fighting, us missing something we packed and I am pretty sure there was a tent disaster mixed in there somewhere. But all I see are smiles of me and my mom, pictures of moments, laughs with her best friend. Those are the moments that will always make those trips the best even with copious amounts of child sunburns and meltdowns. Through all those bad times on vacations, we made memories. There are hundreds of pictures of smiles, laughs, memories. Proof that no bad vacations exist when you are in good company. What vacation has had the most obstacles? that's true- when bad things happen, you still make memories! Love this post. I feel like it's less about the bad moments and more about who you spend the moments with - if you had a bad experience but spent it with somebody you love, it never seems as bad! They always make for the best memories! At the time they seem like they will ruin everything but soon you are just laughing about them. Thank you! Especially as you lose important people in your life, it's always the good things you remember when you look back. And they are always memories you are laughing about because sometimes you just can't believe it!